Model and mom Camila Alves, wife of Mathew McConaughey, shares a skillet ground beef that can be used in meat sauce, tacos and more. 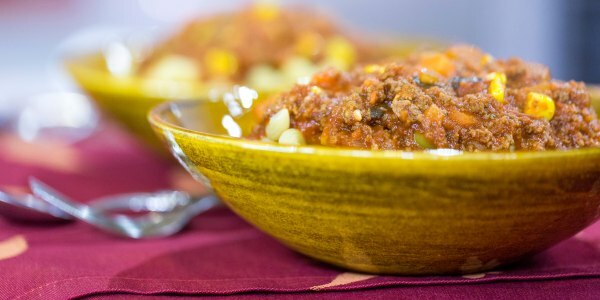 This skillet ground beef can be used in the meat sauce recipe below. Use the leftovers to make a quick and easy taco dinner by mixing in some taco seasoning, or layer the meat in a bowl with beans, rice and vegetables for a healthy burrito bowl.